The large World War II naval cannon, mounted on a remote-controlled set of wheels, goes off. Note the clawed machine in the foreground, the marching four-legged robot, and the person fleeing. 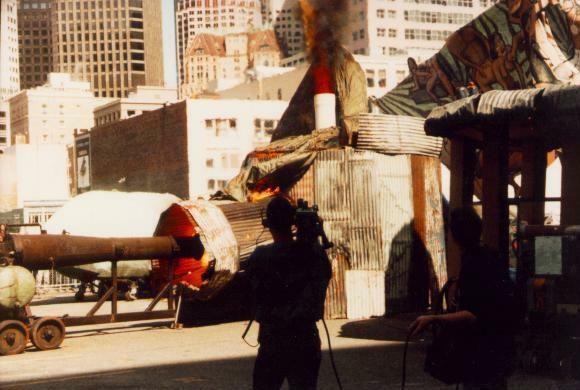 The idea here was, the cannon would blast into this nozzle on the side of the shed, and the flames would fill this large balloon on top of the shed. Unfortunately…. 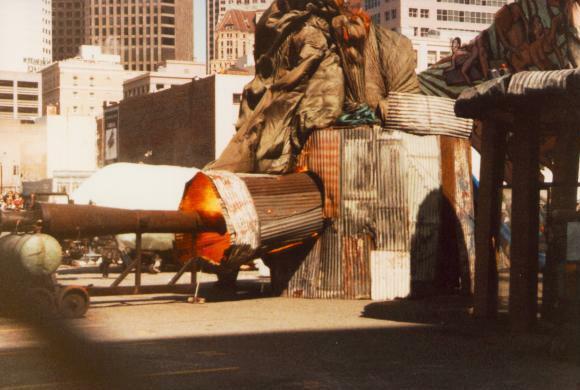 … the balloon burned away, and the cannon is now sending rocket exhaust howling out of the nozzle. 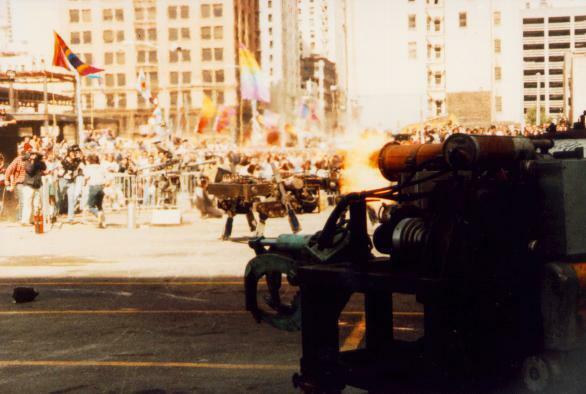 This cannon was loud, incidentally; you could see the office windows around you visibly flexing with the explosions. Show’s over. 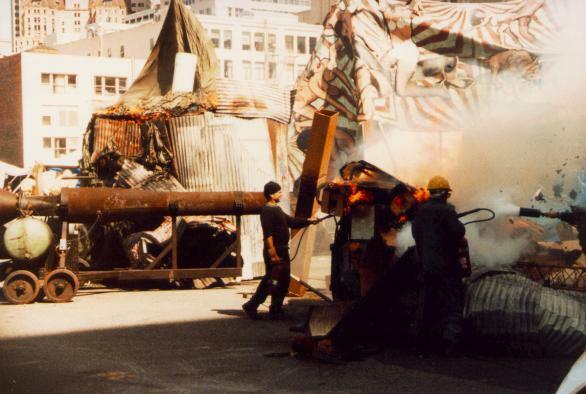 The cannon has ignited most of the set, and the fire department and SRL technicians are extinguishing the performance.